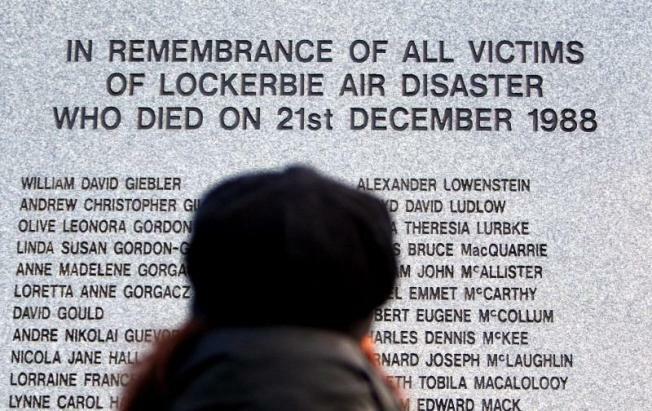 Relatives of Americans killed when Pan Am Flight 103 was blown up over Lockerbie, Scotland, plan to converge on New York City in September to protest a planned visit to the United Nations by Libyan leader Moammar Gadhafi. Family members are furious that convicted Libyan bomber Abdel Baset al-Megrahi was released from a Scottish prison Thursday and was greeted in Libya by cheering crowds. Susan Cohen, whose 20-year-old daughter, Theodora, died in the attack, called the release "a triumph for terrorism'' and said Gadhafi is to blame. Cohen, of Cape May Court House, N.J., said the release is a major concession to Gadhafi, who she said wields increasing power through lucrative oil contracts with Western nations. Cohen, like several victims' family members, said she's disappointed the President Barack Obama's administration is not taking a harder line. Scottish officials said al-Megrahi, a former Libyan intelligence officer, has advanced prostate cancer and was given only months to live. They said they were bound by Scottish rules of compassion to release him. Frank Dugan, president of the group Victims of Pan Am Flight 103, said members plan a conference call Friday night to discuss logistics for the protest and plans for the upcoming 21st anniversary of the Dec. 21, 1988, bombing. An anniversary event is to be held at Syracuse University, where 35 of the victims went to school. Family members agreed they wouldn't spend much time on Friday's call sharing their outrage over al-Megrahi being freed, according to Dugan, who said they've been e-mailing and calling one another to share their anguish. He said they would focus on planning to protest, scheduled for Sept. 23. Dugan did not lose any family members on the flight but joined the victims group after serving on the commission appointed by former President George H.W. Bush that investigated the bombing.